Show: Valentino Fall/Winter 2015 - To continue the story of the feminine, romantic Valentino woman, Redken Global Creative Director Guido created a soft style adorned with the daintiest of braids for the Valentino’s Fall/Winter 2015 runway show. 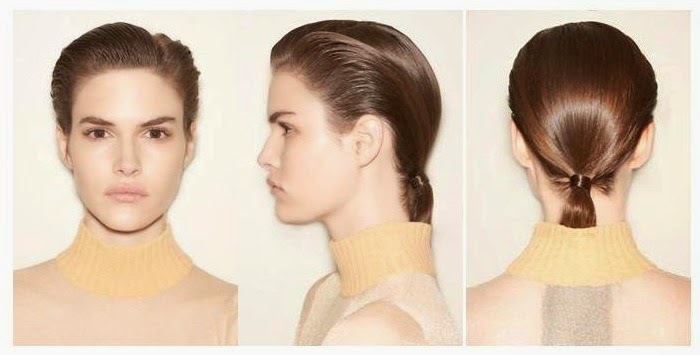 Redken Global Creative Director Guido created an understated, elegant updo to enhance the richness and luxury on the runway at Hermès’ Fall/Winter 2015 runway show in Paris. Redken Global Creative Director Guido sculpted a sleek hairstyle to accompany the structured silhouettes seen on the runway at Sacai’s Fall/Winter 2015 show. To play up the stony gray palette seen on the runway at Akris’s Fall/Winter 2015 show, Redken Global Creative Director Guido custom-cut wigs into a choppy bowl shape and colored each a beautiful shade of gray using Redken’s Shades EQ. 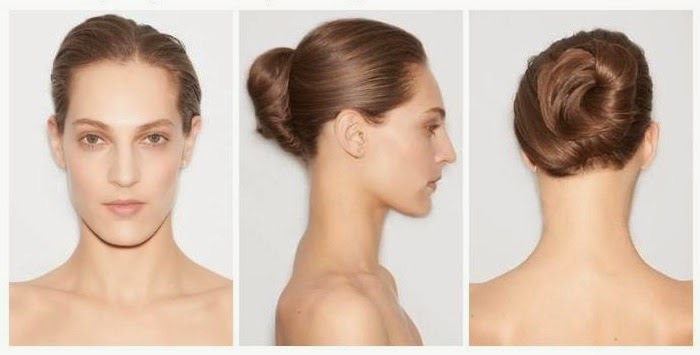 To modernize a classic look, Redken Global Creative Director Guido sculpted a chic, shiny chignon for Balenciaga’s Fall/Winter 2015 runway show in Paris. To complement Christian Dior’s Fall/Winter 2015 Collection, Redken Global Creative Director Guido created a sophisticated, sci-fi-inspired side ponytail for the runway show in Paris. Redken products can only be guaranteed authentic when purchased from a salon. To locate a Redken salon, please visit Redken online. Photo Credit: Lucas Flores Piran! 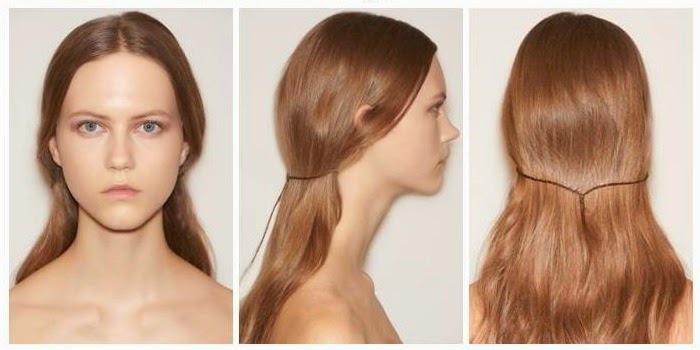 For his first Spring/Summer 2015 show in Paris, Redken Creative Consultant Guido created a futuristic hairstyle to highlight Balenciaga’s collection and mod hair accessory – sunglasses with a satin-embroidered hairpiece. 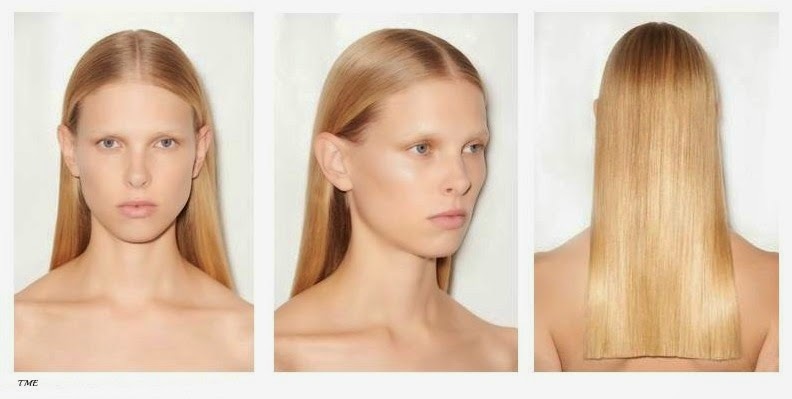 To create the minimal look, Guido used Pillow Proof Blow Dry express primer and satinwear 02 prepping blow-dry lotion to achieve a high-shine, straight look. For added sleekness, Guido used iron shape 11 thermal protecting spray and quick dry 18 instant finishing spray. To finish, Guido adorned the hair with Balenciaga’s racing sunglasses, each accented with contrasting, luxurious hand-embroidered jewelry, some of which were pulled from the Balenciaga archives. Thoroughly mist Pillow Proof Blow Dry express primer all over damp hair and comb through. Apply a nickel-size amount of satinwear 02 prepping blow-dry lotion throughout damp hair and blow-dry straight with a paddle brush. 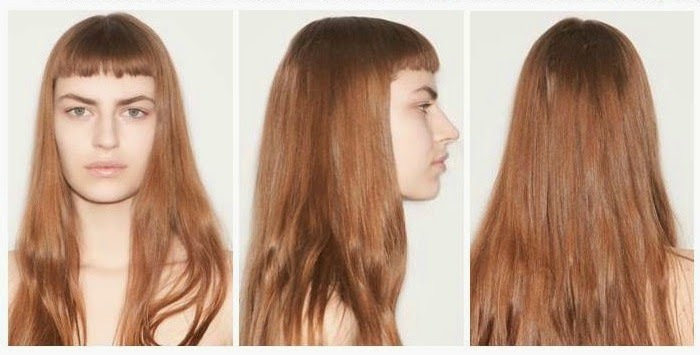 Then create a clean, middle part. Spray iron shape 11 thermal protecting spray on hair and follow with a flat iron until hair is stick-straight. Finish with quick dry 18 instant finishing spray for a perfected high shine look. Apply sunglasses and hair accessory. Redken products can only be guaranteed authentic when purchased from a salon. To locate a Redken salon, please visit Redken online.